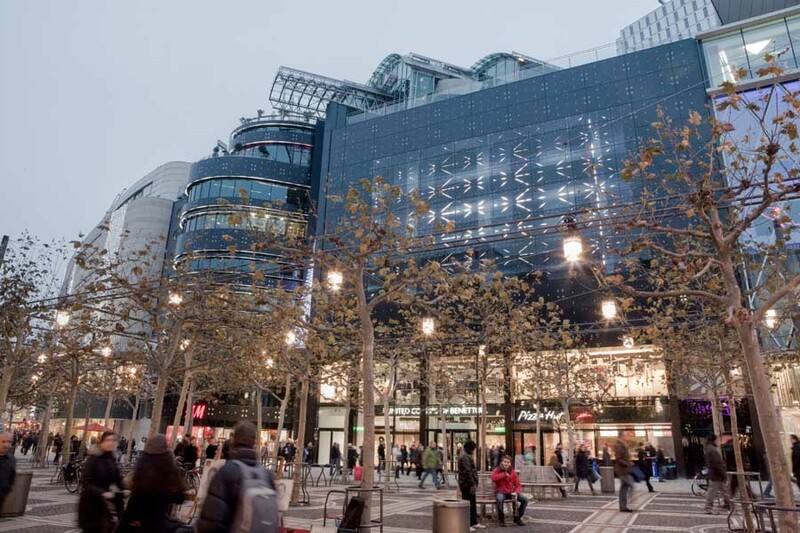 In Frankfurt, you can go to mega shopping. They have many shopping centers and nice little streets with boutiques and other nice shops. De Zeil is the best-known shopping street. You have to go here anyway. It is a kind of Kalverstraat but four times wider. I stroll around all the shops. There are also 2 large well-known shopping malls here: My Sail (Free Wifi is super handy) and the Zeil Gallery. So even if it rains, you can still shop well. MoMa is located in the Altstadt on the corner of Dom- en Brauchbachstrasse. The triangular shape gave the museum the nickname “tortenstuck” and I immediately felt like pie. So it was a very short visit but it was definitely worth it. There is a lot to see from Pop art to photography artworks and works by Andy Warhol. The exhibitions change monthly so there is something new to see every time. With nice weather, cool city beaches pop up in Frankfurt. It is totally awesome! The coolest place is the Long Island Summer Lounge. Only open in good weather and from 4 pm (at the weekend from 2 pm). On Saturday morning until 2 PM, there is also a junk / antique market along the Main. When the weather is nice it is very nice to stroll around the stalls here. The skyline of Frankfurt in the background provides a beautiful picture. 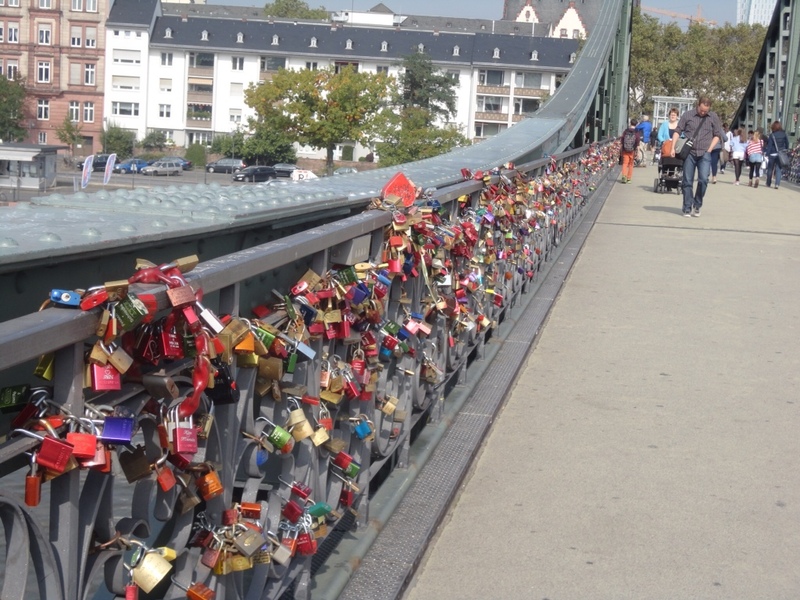 The middle bridge over the Main de Eiserner Steg Bridge, better known as the “love lock bridge” is a place where couples in love hang here a lock with a sweet text or their initials engraved.